You are invited to COAR Members-Only Webinar: “Driving Traffic to Institutional Repositories: How Search Engine Optimisation can Increase the Number of Downloads from IR” by Kenning Arlitsch, Dean of the Library at Montana State University. Date: September 18th, Monday at 16:00 CEST / 08:00 MDT. Online registration is required by September 14th. For more about the event please visit the webinar page. There is growing recognition worldwide that our substantial global investments in research have much greater impact if they are widely shared and openly available to everyone. LA Referencia, OpenAIRE and COAR reaffirm their strong support for a shared vision of a global network of repositories as fundamental infrastructure for providing sustainable and open access to research outputs, ensuring that all researchers and citizens have access to the results of publicly funded research. On November 25 and 26, 2015 representatives from LA Referencia, OpenAIRE and COAR met in Rio de Janeiro to discuss the adoption of common metadata guidelines for repository networks and identify areas for further collaboration. The meeting was hosted by the Oswaldo Cruz Foundation (Fiocruz), along with Ibict (Instituto Brasileiro de Informação em Ciência e Tecnologia), and is part of the Aligning Repository Networks work being lead by COAR. OpenAIRE and LA Referencia represent two of the most advanced regional networks of open access repositories in the world. Closer collaboration between these two networks will enhance the usability and visibility of the collective content in the networks and enable the development of value added services across the two regions. LA Referencia is the network of open access repositories from eight Latin American countries. 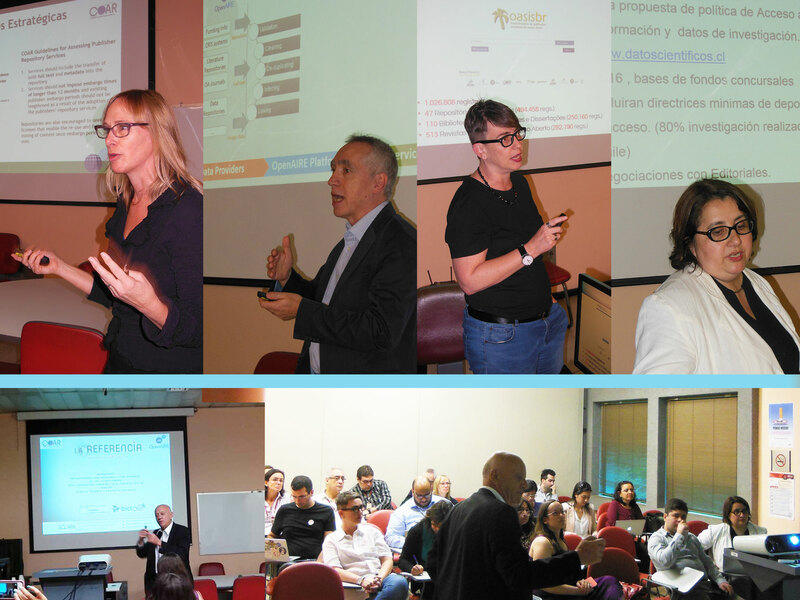 It supports national open access strategies in Latin America through shared standards and a single discovery platform. LA Referencia harvests scholarly articles and theses & dissertations from national nodes, which, in turn, harvest from repositories at universities and research institutions. This initiative is based on technical and organizational agreements between public science and technology organizations (National Ministries and Science & Technology Departments) with RedCLARA. OpenAIRE, funded by the European Commission under H2020, is the Open Access Infrastructure for Research in Europe, based on the network of open access repositories. The national nodes of LA Referencia will adopt the OpenAIRE Guidelines and, through LA Referencia, participate in the development of the guidelines with OpenAIRE as they evolve in the future. LA Referencia will develop a strategy and launch communities of practice to facilitate sharing of expertise across participating countries and to support implementation of guidelines at local institutions. LA Referencia, OpenAIRE and COAR will partner to develop a blended learning course to build capacity in managing repositories in Latin America. LA Referencia and OpenAIRE will provide validators that will enable repositories to assess their level of compliance with the guidelines.